The “Wow! Reply” – SETI Stunt, Science, or Threat? A little less than a year ago, the National Geographic Channel (NatGeo) executed a truly novel crowdsourcing initiative that I feel is deserving of greater critical attention. Hailed by some as innovative public engagement, derided by cynics as mere marketing spectacle, and condemned by others as a threat to our very way of life, hindsight suggests that this bold and yet somewhat understated event may have been the most significant contribution of the entire (and much maligned) television project. In short, NatGeo was keen to supply anyone with access to a computer or smart-phone a chance to say something to the rest of the universe, all in promotion of its newest extraterrestrial-life-themed television show. There were no restrictions on public participation or the content of anyone’s messages, save the 140-character limit built into Twitter tweets. In my experience, this so-called “Wow! Reply” was a definite first: An innovative collaboration between public media and research academia – in this case NatGeo and the famed Arecibo Observatory – that manifested as a public-outreach and active-SETI experiment on a global scale. The Reply was ultimately successful (in that the interstellar broadcast was successfully performed from Arecibo), and the transmission was targeted back toward the location of the original Wow! signal precisely 35 years to the day from the original signal’s receipt. An ambitious undertaking for an endeavor entirely conceived and funded to generate interest in a television show, indeed! However, to understand the varied reactions to the Reply, it’s necessary to first explore how and why the Reply was crafted and executed in the first place. Arecibo – the largest single-dish telescope in the world. The idea of the Reply was innovated by Campfire, a consulting firm specializing in “transmedia” storytelling (involving multiple media forms and channels). The initiative itself was kicked off by soliciting Wow! Reply videos from celebrities and scientists, (to which I contributed). Some of these videos were over-the-top, while others were serious and science-based. A personal favorite is Stephen Colbert’s riff on the event. -In any case, for something as seemingly esoteric as radio SETI, (which is essentially radio astronomy), this was an unprecedented amount of exposure! Ultimately, one could say the Reply served its purpose, as more than 20,000 people tweeted specific messages on the appointed date (June 29, 2012) in order to be included in the transmission, and countless others were made more aware of SETI, radio astronomy, and the existence of the Wow! Signal as a result. But forgetting the far-fetched and tantalizing possibility of contacting aliens for a moment, what of our own reactions to the Reply? The Wow! Reaction… from Us. Prior to the Jun 29 2012 tweet-collection date, there was significant and generally neutral-positive press coverage of the Wow! Reply, which crossed public and professional-level publications, including articles from Slashgear, Huffington Post, and Phys.org. Unfortunately, however, any fanfare associated with the Reply was quickly siphoned and/or overshadowed by its association with the premier of a television show that, regrettably, communicated a much less scientific or exploratory message. The press coverage quickly shifted toward neutral-negative, as seen in this NPR article, fading by the time of the transmission of the Reply itself to a simple, short blip on the newswire, exemplified by this NPR piece. Now, a little less than a year later, the collective response from the scientific community and the general public on the Reply has been mixed, running the gamut from enthusiasm to fury. Why mixed, you might ask? What could possibly be perceived as negative about something that engaged so many people in the history of science, the wonders of radio astronomy, and possibility of life in the universe? For the answer, let’s step squarely out of the realm of public media and discuss what NatGeo, wittingly or unwittingly, really engaged in when they conspired to undertake the Reply: METI, or Messaging Extra-Terrestrial Intelligence. Sending a message between stars may sound straightforward enough, but actually accomplishing the collection and broadcast of 20,000 tweets into space is a non-trivial technological feat in and of itself. Addressing the problem of creating something even hypothetically translate-able by a non-terrestrial civilization is an altogether separate and even more daunting task. Now, it should be mentioned that we – humanity – have been broadcasting signals into space since television broadcasts first began. Our radio signals travel upwards and out into space in addition to traveling sideways where the antennae on our old TV sets would be best positioned to receive them. Much like a beacon, these signals travel outward at the speed of light with time, some of which may have reached as far as 80 light years distant from us since then, (a radius that includes upwards of 5,000 stars!). And crudely, like a smoke signal, the on-and-off of these transmissions has the ability to hypothetically alert another civilization (with the technology to detect them) to our presence on the galactic scene. However, with all of this in mind and especially considering that SETI itself is approaching half of a century of maturity as a scientific pursuit, many are surprised to learn that a broadcast with the specific intent of transmitting information to – i.e., communicating with – hypothetical Extra-Terrestrial Intelligence (ETI) has only been attempted eleven times in human history, nine of those being prior to the Wow! Reply. Think about that. Eleven times since we developed radio technology. That’s the galactic equivalent of being trapped in a basement for a year and only calling out for help on the order of (very, very generously) 3 hours. Not very good odds of being heard at all. After that, it is interesting to note that the next message wasn’t even attempted until 25 years later, in 1999 (Cosmic Call 1). The remaining six broadcasts were conducted in the aughts (2000-2010). Now, and literally aimed a bit closer to home, we finally arrive at the NatGeo Wow! Reply on August 15, 2012. So, how was the Wow! Reply itself transmitted? Using the Arecibo radio observatory’s formidable 1-megawatt continuous-wave (CW) S-band transmitter, the project organizers used a 2380 MHz (12.6 cm wavelength) carrier wave to send what promotional materials referred to as a “global tweet” into space. In any case, here goes. Because of uncertainty in the source location of the original Wow! Signal, the Wow! Reply was targeted toward three different stars, which were each selected based on a trio of criteria. Namely, they were selected based on their location, proximity to our own star system, similarity to our sun, (and I suspect a fair amount of opportunism with respect to the dish’s orientation at the time). It’s a bit sobering to not just imagine but to know that these stars are not just numbers in a database but are actual stars, whirling about the Milky Way in the precise fashion that our sun does the same, dragging the Earth and the other planets along with it. And like our Sun, we actually know that at least in one of these cases, these stars are also surrounded by actual alien worlds. A system of planets not unlike our own. Astronomers and planetary scientists call them Extrasolar Planets, or Exoplanets. 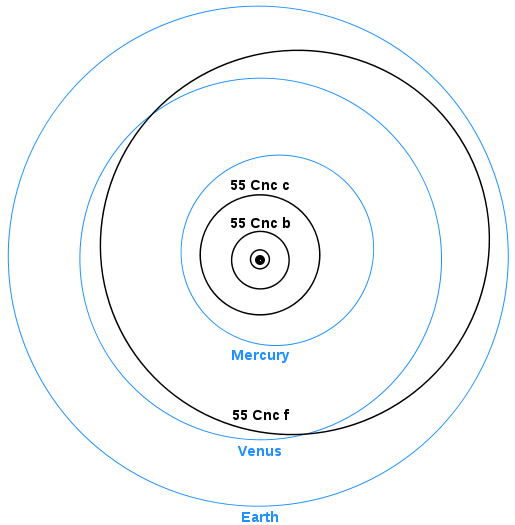 Specifically, there are at least five planets orbiting the yellow dwarf star within the 55 Cancri system (see the above image), one of which may skirt that system’s habitable zone. In other words, not only are they available to harbor hypothetical alien life, but one planet in particular (unceremoniously titled) “55 Cnc f” may even be able to support life as we already know it. A heady endeavor, indeed. But what is it we actually sent there (to arrive in the year 2053)? To prepare the message to be delivered to each of these stars, all of the public videos and tweets were first converted to binary data. Then, scientists at Arecibo were claimed to have added what they refer to as a “training header” to help a hypothetical recipient decode the message, as well as regular repetitions of header sequences prior to each tweet (meaning at least 20,000!) to help distinguish the signal from cosmic noise. Then, at the power level mentioned above, which is roughly 20 times greater than the most powerful conventional radio transmitter, the enormous surface area of the Arecibo antenna would have boosted the signal to an effective power of more than 10 TeraWatts. 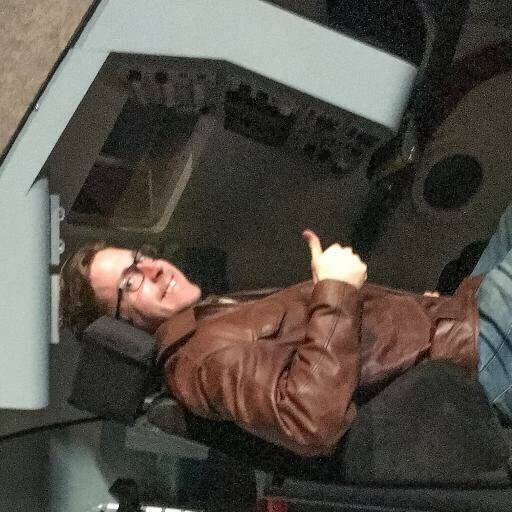 For reference, this is enough power (properly harnessed) such that Doc Brown could have sent Marty McFly back to the future more than 8,000 times. Pretty powerful, indeed. But then again, it would have to be. The nearest star on the recipient list is, in conventional distances, 2,410,000,000,000,000 (nearly two-and-a-half quadrillion) miles away. And as for how to make the 1 and 0 parts of the radio message, astronomers use what is known as a Binary Phase Shift Keying modulator that literally flops the carrier signal to represent up or down, or 1 and 0. Now, having sent the Wow! Reply is one thing. The idea that an extraterrestrial civilization could produce any meaningful information from it is another entirely. 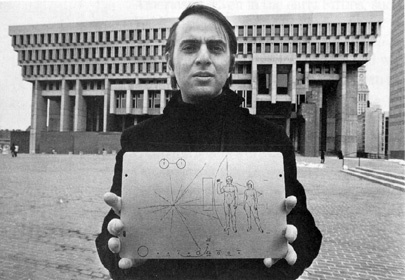 Carl Sagan, one of the first serious proponents and implementers of interstellar messaging. So, was this all in vain? Has the truth of the advertising and marketing aspect of this endeavor finally been laid bare? Well, not necessarily. While the broadcast may have been a blast of indecipherable binary code, it may still function as a lighthouse-style beacon, and further, it provides excellent context for explaining the difference between so-called Active SETI and METI here at home. Quite simply, on the one hand the mission of SETI is to produce confirmation of extraterrestrial intelligence. From this inward-directed vantage, messages such as the Wow! Reply seem to be of little value, as they present a disappointingly remote “shot in the dark,” as it were, of being received, translated, and acted upon. However, METI proponents possess a much more outward-directed motive, which is to not only ideally communicate with ETI but also to inspire their Wow! Signal moments, even if they are unable to reply. What a mental back-bend to consider such a possibility! Clever work is being done today on the design of universally-translate-able METI, such has modulating the signal itself to represent physical elements, (e.g., invoking pattens in the radio wave itself so that it serves as the message), yet Zaitsev’s point is that doing so may not even be essential to fulfill a much more significant role to another civilization. So, that brings us to the next chapter of this interstellar adventure, which is the opposition to METI. It’s easy to imagine the benefits of such a philosophically-lofty endeavor, e.g., inspiring a “first contact” moment with another civilization that has the capacity to, in turn, broaden our cultural horizons to include a galaxy that has satisfied one of our longest-standing questions – revealing that we are indeed not alone! However, what of the potential pitfalls? As it turns out, objections to METI are not new. In reaction to the famed Arecibo Message of 1974 mentioned earlier, Nobel laureate and astronomer Martin Ryle championed that any attempted extraterrestrial messages be strictly outlawed, at least pending some sort of rigid global review and risk assessment. In what may be seen through the lens of future history as either paranoid or prophetic, Ryle’s objections were repeated in 2011 by eminent physicist Dr. Stephen Hawking, who issued an infamous alert warning humanity away from attempting to contact extraterrestrial life. For someone as engaged in public science outreach as Dr. Hawking has been throughout his career, the proclamation was seen by many as puzzling or counter-intuitive. However, his concerns were based on hard historical data – something that is obviously difficult to come by when talking about any scenario for which we have no practical example. Now, there is nothing saying that this must be the case, but the objection certainly merits critical thought. If relevant, shouldn’t any attempts at interstellar contact be limited as these precautionists warn – at least until we possess a means of planetary defense? 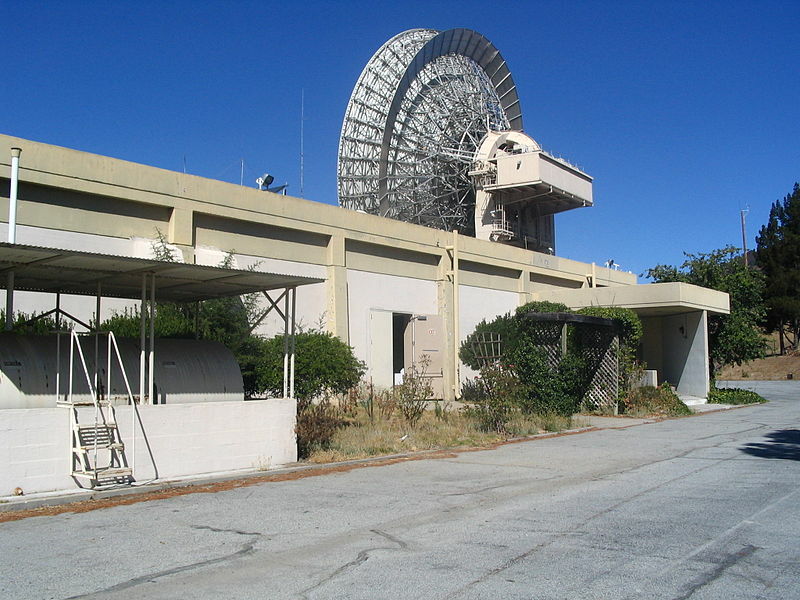 Jamesburg Earth Station, currently transmitting for the Lone Signal project. In perhaps the most intriguing development of all, it appears that the concept of the Wow! Reply earned the attention of an entirely unexpected group – public outreach space scientists themselves. Just last month, a crowdfunded METI/Active SETI program called Lone Signal began continuous operation at California’s Jamesburg Earth Station. In a strikingly-similar sort of outreach initiative to the Wow! Reply, the objective of Lone Signal is to continuously transmit “tweet”-sized messages from the public toward Gliese 526, a red dwarf star located a mere 17.6 light years away. Lone Signal began sending these transmissions on June 17 of this year. If successful, they hope to activate a network of stations across the Earth, greatly enhancing our star system’s galactic profile, in a manner of speaking. As for Hawking’s warning about the dangers of exactly such an increase in visibility to the brotherhood of advanced and potentially-threatening alien civilizations that may or may not exist? Lone Signal’s chief scientist has stated that he believes any nearby advanced extraterrestrial civilizations are already aware of our existence due to radio leakage, and humanity’s previous high-power transmissions could be detected with relatively simple equipment. While engaging the public in an active outreach program, Lone Signal hopes to resolve what is essentially another civilization’s Wow! Signal problem – since our previous broadcasts have been short bursts that have never repeated, any civilization just tuning in could have caught just a fragment. Lone Signal aims to broadcast continuously for the foreseeable future, giving other civilizations that which we ourselves have yet to find: the power of confirmation. You be the judge. Was the Wow! 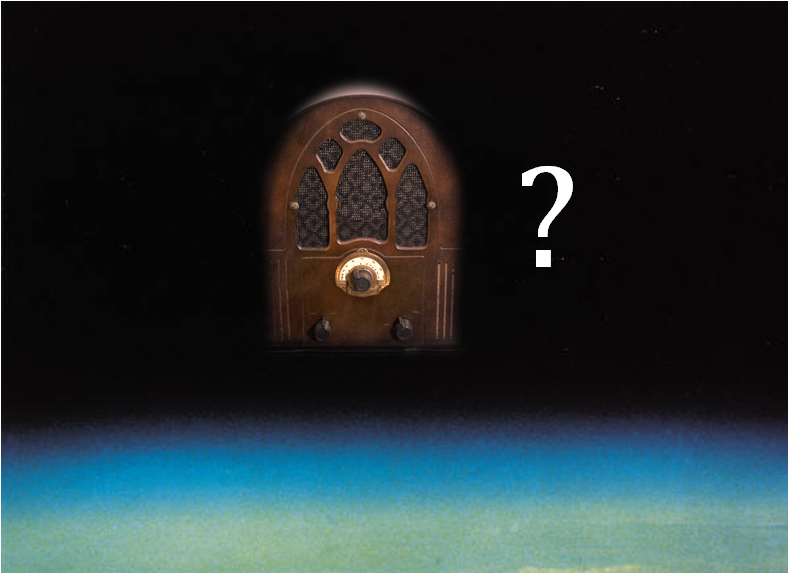 Reply the first in a series of media efforts to engage the public in a world that extends beyond our horizons? Was it simply advertising masquerading as science? Will it be looked upon as the lure that attracted what may become an unprecedented future conflict over resources with life hailing from another star system? Or might it hasten the day that we realize we are not alone in the universe, helping us resolve our internal quarrels and participate in a broader spectrum of interactions in our stellar neighborhood already in play? But this is the conversation I sincerely wish we would have been in a position to facilitate a year ago. 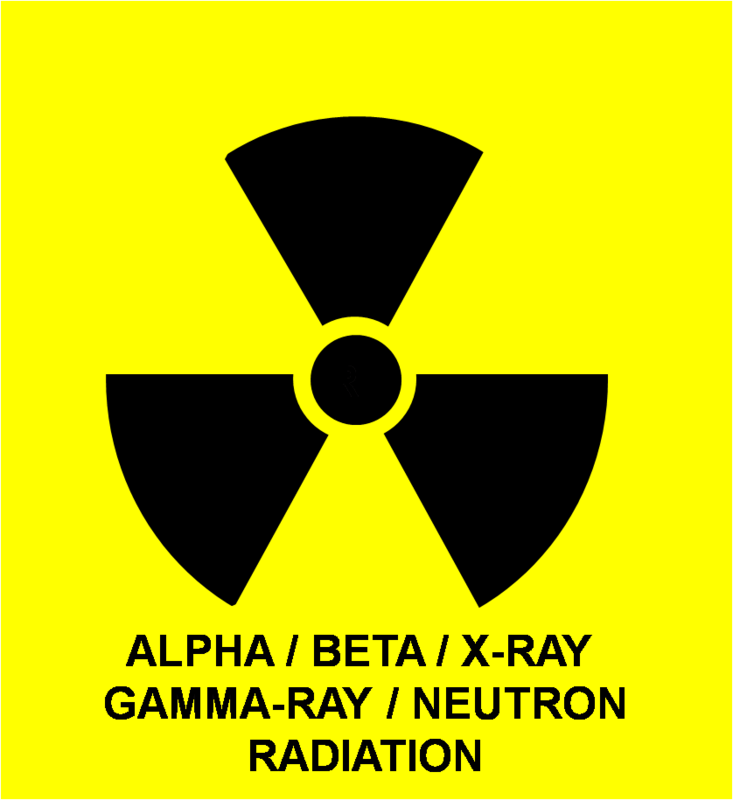 Traditional Radiation Trefoil Hazard Symbol. Just a quick note today on radiation and the irrational fear it provokes. -Take it from someone who works around “rad” professionally in nature and in industry: Radiation isn’t scary. It’s normal. Micro-waves are, literally, radiation. Yes, you "nuke" your food in a microwave oven, (though there's no danger of making the food radioactive itself.) Microwave radiation is harmful, which is why all microwave ovens are discreetly engineered as "Faraday Cages" - the same protective housings that the military uses to protect sensitive electronics from nuclear blasts. 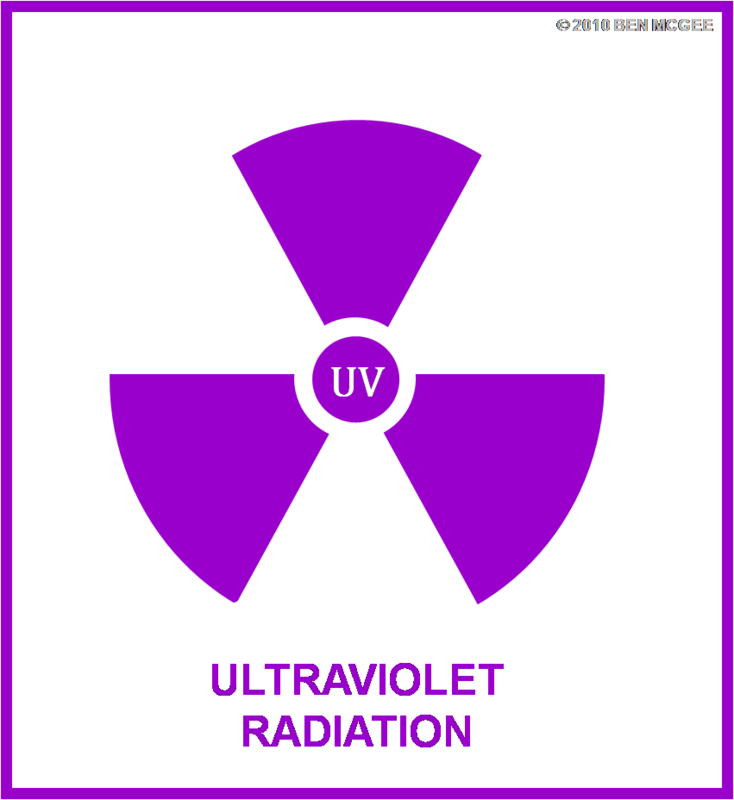 While some radioactive elements emit particles as well as “energy,” the simple truth is that the same electromagnetic waves that stimulate our retinas (visible light) are identical in form to the elctromagnetic waves that warm our hands in gloves (infrared rays,) cook our food (microwaves,) burn our skin (ultraviolet waves,) check our bones (x-rays,) and that on the extreme end can be very physically harmful to our tissue (gamma-rays and cosmic rays). Think of them as colors our eyes can’t see. That’s it. That’s all there is to it. Radiation is natural, not just man-made. We grew up around it, and our bodies are built to take it. There’s even a fair amount of serious research to suggest moderate exposure to radiation helps keep us healthy by stimulating our defense systems. So, why the mystique? Tradition. Radiation is associated with atomic bombs, nuclear holocaust, physics perceived to be too complex for any ordianry person to understand (which is completely untrue,) and it’s invisible to human senses. General misunderstanding is the culprit when we really have nothing to fear but… yes, fear itself. Now – this fear is really getting in the way of some important developments in power, propulsion, and industry. What can we do to counter such pervasive fear? Perhaps we should call it like it is. 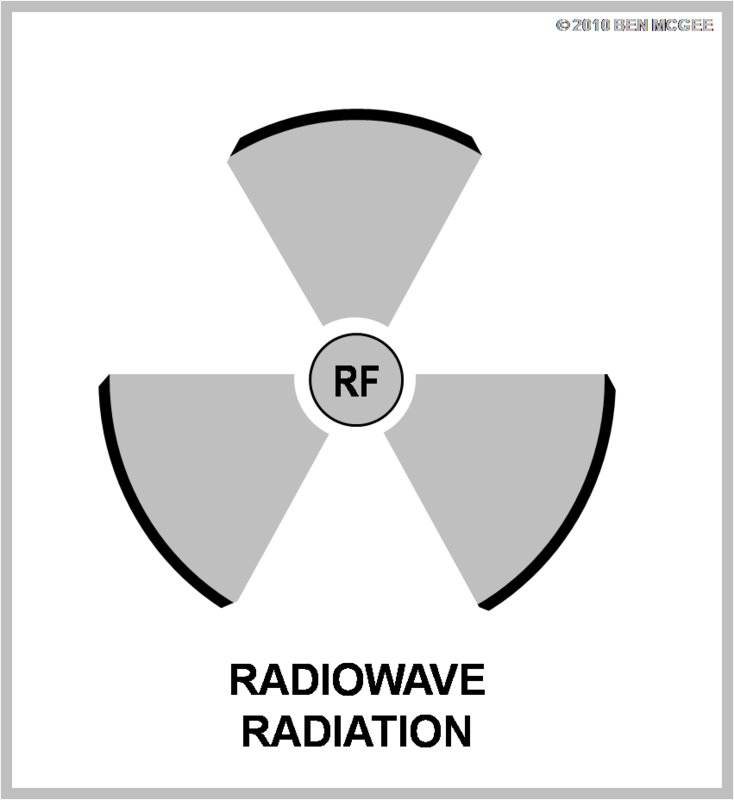 See the included examples of microwave, radio, etc., radiation symbols that accurately place radiation with radiation. Enough with the marketing – call an apple an apple.